YOUR SEARCH IS OVER!! You don’t want to miss this TASTEFULLY REMODELED 4 bedroom, 2 bath home with an INGROUND POOL!! 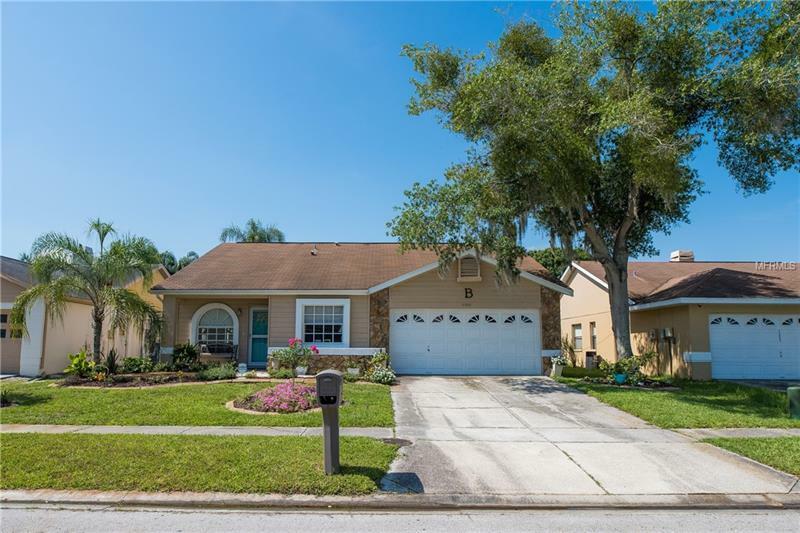 Located in the wonderful and desirable SUMMERFIELD COMMUNITY, this home has a perfect layout for entertaining and has TONS OF UPGRADES!! Walking up to the front doors, you will love the curb appeal and landscaping that is perfectly in place. When you enter the home, you walk right into the living/dining room combo, and the first thing you will notice is the beautiful PLANK WOOD LAMINATE FLOORS located in all main living areas and the vaulted ceilings. The kitchen has been REMODELED with GRANITE COUNTERS, ALL WOOD CABINETS, STAGGERED TILE FLOORS, and STAINLESS APPLIANCES. The MASTER BEDROOM has a large walk-in closet and remodeled master bath has a single vanity and tiled shower. All bedrooms all have newer carpet. The guest bathroom has also been beautifully remodeled! The SPACIOUS family room features a wood burning fireplace, and with sliders That lead out to the pool area. The pool is the prefect size and has a newer pool pump. The Summerfield community offers spectacular amenities including a beautiful golf course, community pool, park, playground, fitness, tennis court, recreation building, and elementary school nearby. You'll have quick access to I-75, Tampa, Sarasota/St. Petersburg beaches, St. Joseph’s Hospital, Amazon Distribution Center, and MacDill AFB. Call today to schedule your private showing and take the first step to make this beautiful house your home!